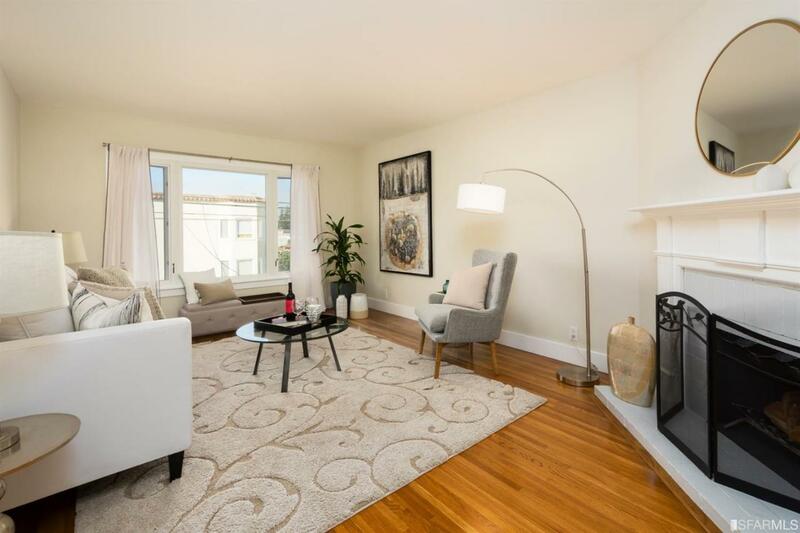 Freshly painted & natural light-filled, this updated penthouse in a traditional style two-unit building offers a great Inner Sunset location! 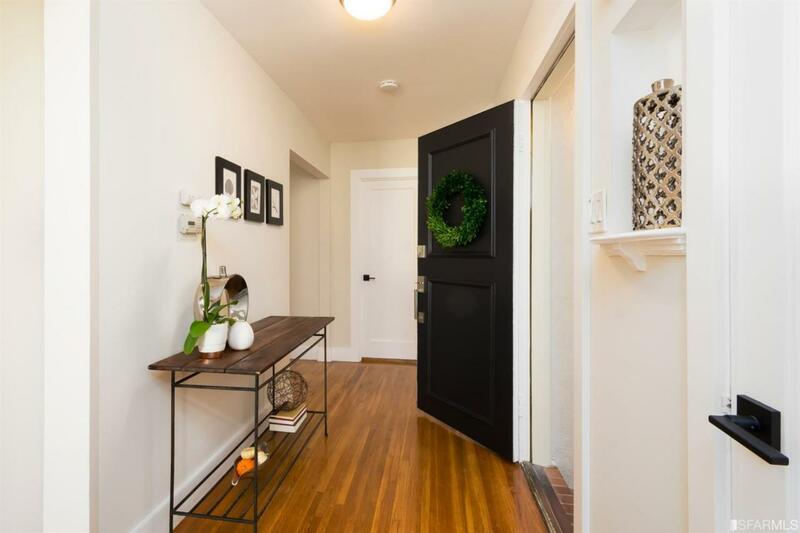 This top-floor 2BD/1BA condo features a remodeled kitchen with new shaker-style cabinets, marble counters, stainless steel appliances, refinished hardwood floors, living room w/fireplace, dual pane windows, energy efficient solar panels, & dining area w/skylight. 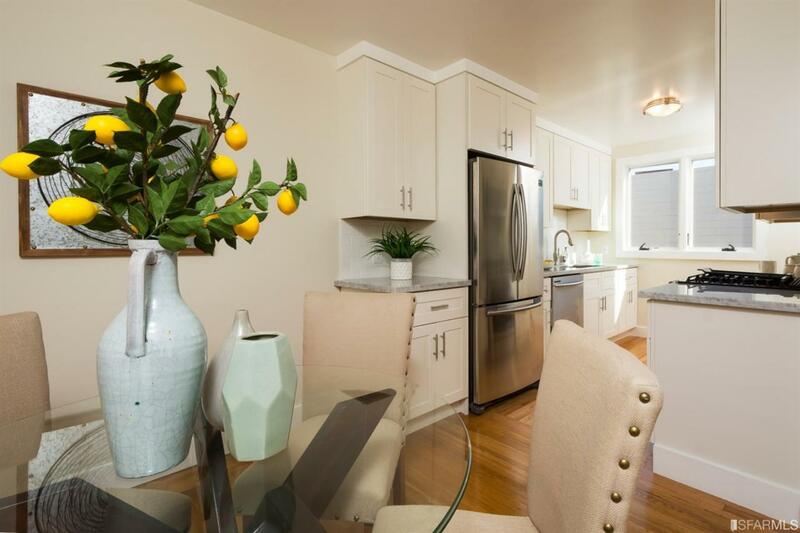 Shared newly landscaped garden w/fenced yard, parking in the garage with automatic door, laundry area, & storage. 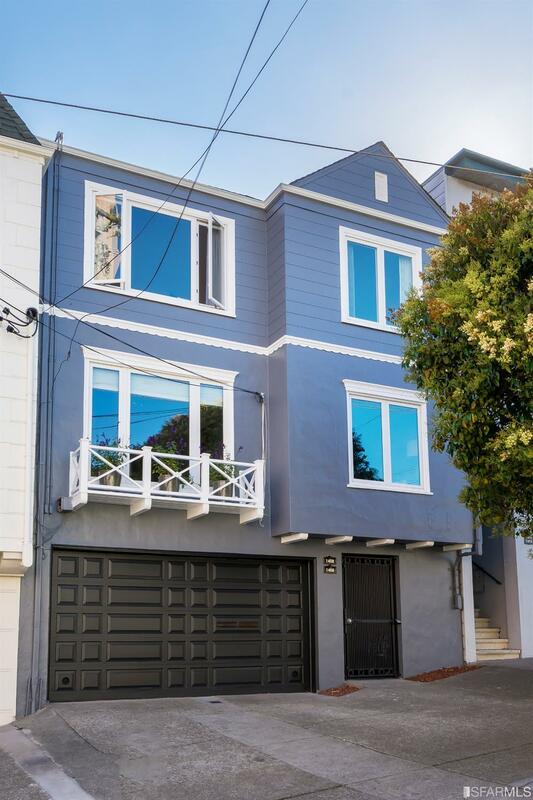 A WalkScore of 95 just blocks from the Irving Street shops & restaurants, the heart of Golden Gate Park, UCSF, the N Judah line, & more! Listing provided courtesy of Miesha Morgret of Zephyr Real Estate.